At CARMERA, we believe next-generation mobility services require end-to-end thinking, with customer-agnostic, independently-sustainable solutions. We fulfill this promise both in the scope of our flagship HD mapping suite for autonomous vehicles, and in our supporting products and services to other critical stakeholders in the built environment. CARMERA Autonomous Map provides HD maps and navigation-critical data to autonomous vehicles in real-time. Our proprietary data pipelines conform to any customer-specific implementation of localization, verification, path planning and simulation, allowing AVs to know where they are, confirm what they’re seeing and know where to go next. Learn how self-driving taxi service, Voyage, relies on CARMERA to power the largest operating autonomous taxi deployment in the world. The richest, most versatile semantics in the industry allow AVs to interpret all geometries and the navigational assets that matter, in any desired format. In addition to first party AV data, customers have access to CARMERA’s independent probe network allowing for real-time event updates that uniquely address first observer challenges and increase veracity of change detection from all sources. 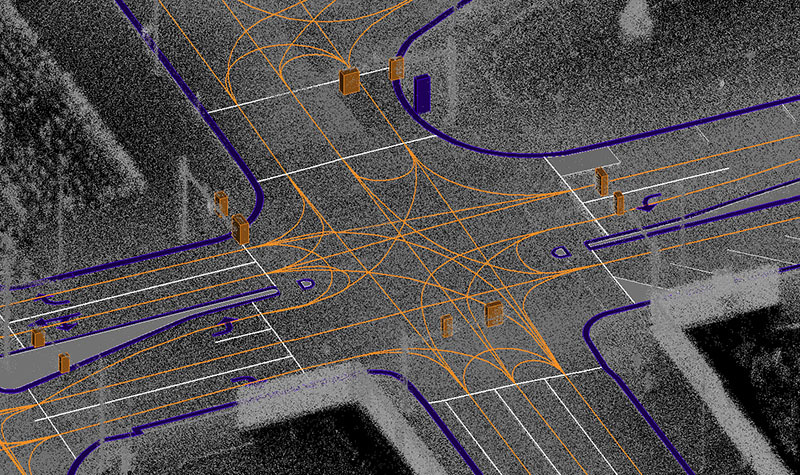 CARMERA’s probe network provides customers insights derived from millions of miles of historical driving video, such as pedestrian density predictions, behaviorally-derived drive paths in varying environmental conditions, and even the likelihood of false positives detected by AVs in real-time. 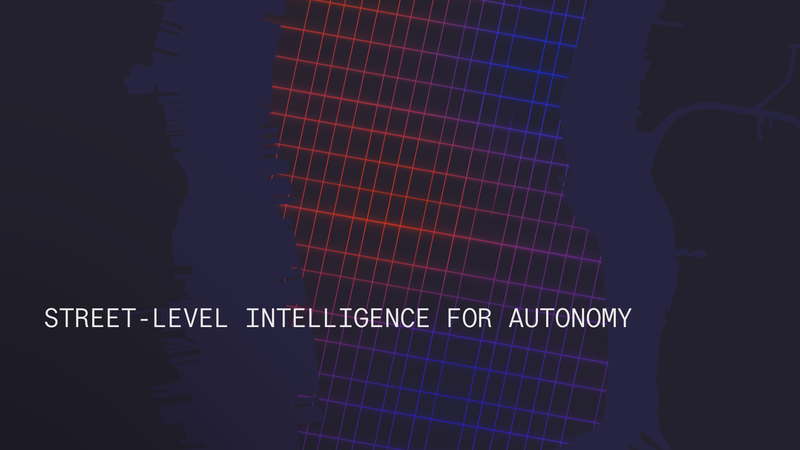 Learn how CARMERA Autonomous Map can power your AV initiatives. CARMERA Site Intelligence provides spatial data and street analytics for faster, cheaper insights into infrastructure planning, ensuring key stakeholders are benefitting from data sharing, transparency and people-first principles that are core to making autonomy work for all. Block-level pedestrian analytics, historical trend data, 3D/vector models and continually updated street imagery enable governments and property managers to plan smarter and build for the future. Learn more about CARMERA Site Intelligence. CARMERA Fleet Monitoring provides high coverage, professional fleets with real-time telematics and video monitoring. Fleet managers access state-of-the-art safety, cost management, liability protection and driver efficiency technology at no cost while simultaneously contributing to the “pro-sourcing” of valuable street intelligence for CARMERA Autonomous Map. City streets are safer for all. Get your fleet up and running with CARMERA Fleet Monitoring. 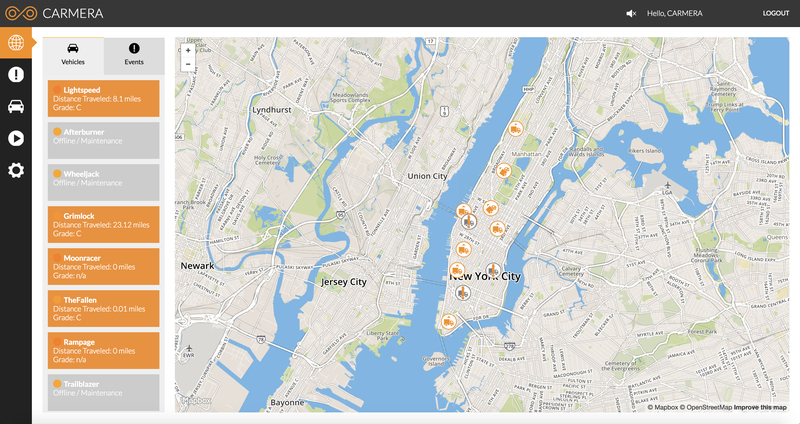 We believe in democratizing access to data that benefits many. To do that responsibly, we protect, secure and anonymize data that may expose sensitive information. See more about our policies here.